A major change of tack has seen one of Melbourne's Irish pubs – formerly better known for craic than craft – switch the focus of its 19 taps to craft beer and redesign its food menu with beer pairing in mind. The Pint on Punt, in Windsor, reopened its doors as The Windsor Alehouse in late April 2016 to unveil a new fit out, new menu, and a total reworking of its beer offerings, which had previously leant heavily on the likes of Guinness and big brewery lagers. In an area that has traditionally been short on craft beer – in stark contrast to the other side of the Yarra – the Windsor Alehouse becomes one of a growing handful of southside venues to follow the path long trodden by The Local Taphouse in amping up the range of quality drops on offer. 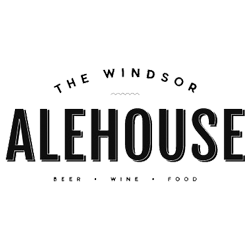 The change in approach has proved fruitful for the Alehouse team, attracting a broader customer base than the backpacker-filled nights of its former guise, and opening up opportunities to work with Victorian craft breweries such as BrewCult, Hargreaves Hill and Mornington Peninsula. The venue's relationship with Lion continues, albeit with those taps now favouring the brewing company's craftier offerings from Little Creatures, James Squire and White Rabbit. Food has been reworked under the watchful eye of head chef Kevin McLaughlin and is now comprised of refined pub style food such as southern fried pork belly bites, slow braised beef brisket, and the Alehouse beef burger, with options for vegetarians and gluten intolerant available across the board. The upstairs accommodation remains in place for any backpackers keen on a bed conveniently close to a bar, and the dining area now pays homage to the venue’s craftier direction, with beer themed wall décor and a large fireplace that lends the bar an inviting cosy feel. Owner Evan Mahony says switching to craft beer was an easy decision, with people now wanting more from the pint in their hands. Combine that with an audience more informed about the food on their plates, and a revamp was the best way forward. And judging by the pumping dining room on the Friday afternoon when we visited, the change has been welcomed from the off by local office workers, families and beer lovers alike.